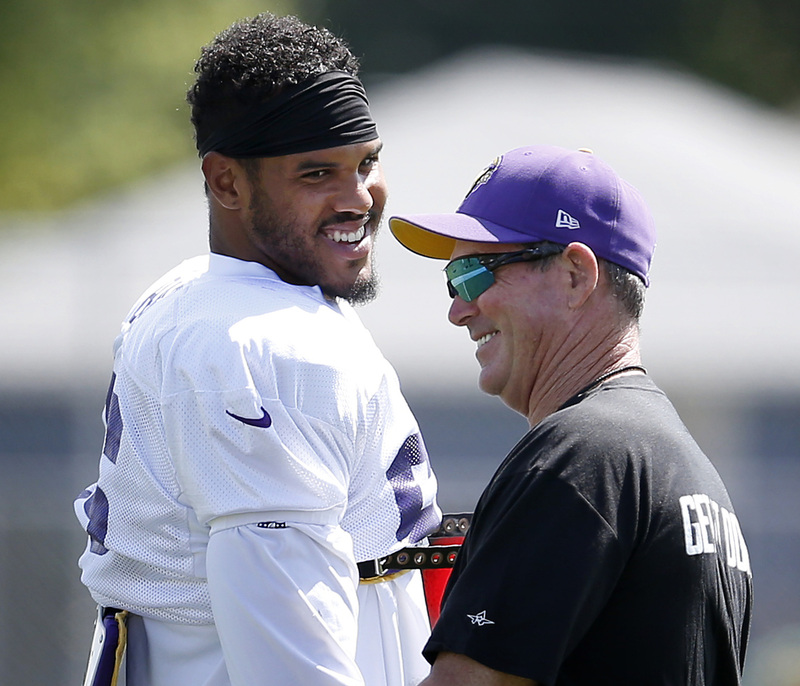 While the Vikings’ new deal with Anthony Barr will reward the linebacker handsomely, it also comes with a structure that should help the Vikings be able to conduct the rest of their business in 2019. While the Vikings’ new deal with Anthony Barr will reward the linebacker handsomely — especially with the money it puts in his pocket this year — it also comes with a structure that should help the Vikings (just barely) be able to conduct the rest of their business in 2019. Barr’s five-year, $67.5 million deal includes a $13 million signing bonus and a fully-guaranteed 2019 base salary of $2.9 million, according to sources with access to NFL Players Association salary data. Throw in a $100,000 workout bonus, and Barr’s deal counts for just $5.6 million against the Vikings’ 2019 salary cap. That means, in theory, the Vikings could have the linebacker sign his contract on Wednesday and fit it into their 2019 cap (though Barr isn’t expected to put pen to paper until Thursday). They’d be in the neighborhood of $2.3 million in remaining cap space with Barr’s deal on their books right now. But to address the rest of their needs — not to mention sign their draft class — the Vikings need more space, which is why they’ve put an offer for a restructured contract in front of Everson Griffen. The defensive end’s $10.9 million base salary becomes fully guaranteed on Friday, and Barr waiting until Thursday to sign his deal gives the Vikings more time to work on other moves to clear cap space. While the salaries in Barr’s deal escalate dramatically in 2021 — when Kirk Cousins will either have a new contract or the Vikings will have a new quarterback — the team stashed all of Barr’s fully-guaranteed money in the first year of the deal, meaning they retain a fair amount of leverage in the later years of the contract. Of Barr’s $33 million in guaranteed money, only $15.9 million — his signing bonus and his 2019 base salary — is fully guaranteed at the time the deal is signed. He’s got a $10 million base salary in 2020 that’s guaranteed for injury only right now, but he’ll have to be on the roster by the third day of the 2020 league year for the money to become fully guaranteed. Same goes for the $7.1 million that’s guaranteed in Barr’s 2021 base (which totals $12.3 million): He’ll have to be on the roster by the third day of the league year for the money to become fully guaranteed. Barr gets per-game roster bonuses of up to $500,000 in the final three years of the deal, and $100,000 annual workout bonuses. His base salaries in the final three years of the deal are $12.3 million, $12.4 million and $14.9 million, respectively. The linebacker can also earn up to $3 million in base salary escalators from 2020-23, based on his number of sacks in a season; until we’re able to see the full breakdown of Barr’s contract, though, we won’t know exactly how many sacks he’ll need to reach those thresholds.